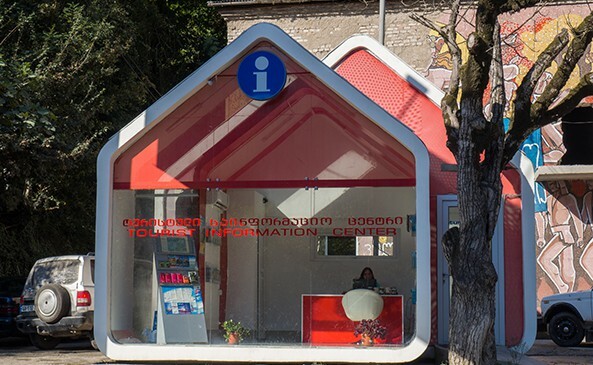 There are nine Tourist Information Centres in Adjara. Three of them serve visitors 24/7 during the summer season. 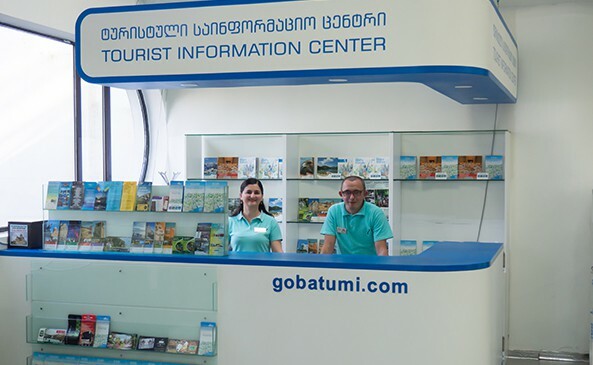 In Batumi Tourist Information Centre, you can receive complete information about attractions, lodgings, restaurants and planned events In Adjara. Free travel guidebook about Adjara, map of Batumi, map of tourist routes and flyers of different facilities are also available at these centres. You can also book and get information about tours in the mountainous Ajara. Local products and souvenirs are presented for sale, e.g. wine produced in Ajara, natural honey, locally produced jams, souvenirs with the sights of Adjara. 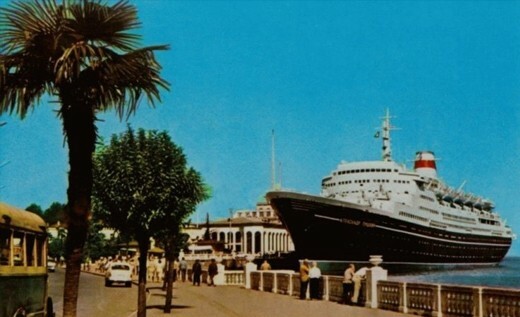 You can also purchase Batumi Discount Card, which offers up to 50 tourist facilities with discount, a bus ticket that can be used for 10 free trips and also free SIM card. 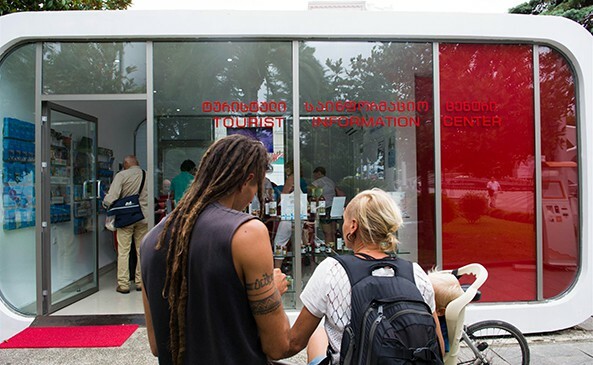 In the centre of Batumi, our friendly and favorable team of tourist information centre next to the Argo Cable Car is ready to assist visitors 24/7. They offer advice about attractions, lodgings, restaurants, planned events and various tourist activities in Ajara. 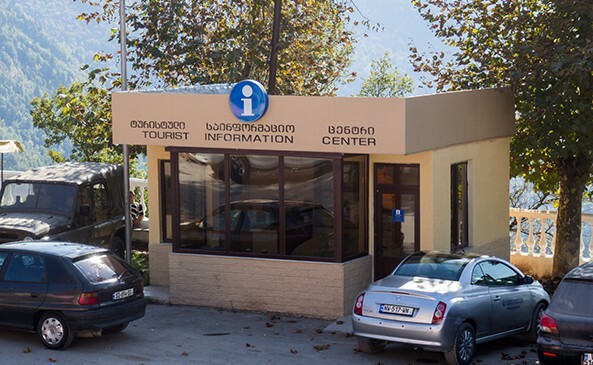 This centre is located in the heart of the city’s main attraction - Batumi Boulevard, and ready to provide information about attractions in Ajara, lodgings, restaurants, event schedules. Here you can purchase BatumVelo Card as well. Address: 2. Ninoshvili Street, central entrance of the boulevard. Lovers of train journeys can get information about attractions, lodgings, restaurants, planned events and train schedules immediately after arriving at the railway station. During summer the information centre works 24/7. 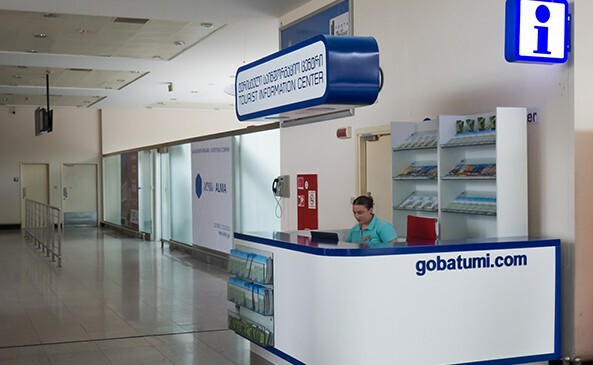 The visitors arriving at Batumi International Airport can visit tourist information centre and get information about main attractions, lodgings, restaurants, planned events and public transport schedules. Free maps of tourist routes. 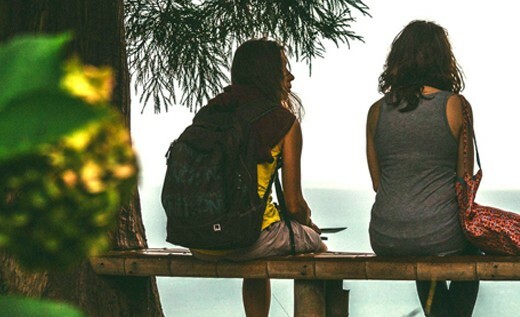 25 km from Batumi, in the seaside town of Kobuleti you can find Tourist Information Centre and get all the necessary information about main attractions, lodgings, restaurants, protected areas and various tourist activities. Address: 642. Agmashenebeli Street, Kobuleti. In Tourist Information Centre located in the municipality of Keda you can obtain complete information about tours in mountains of Ajara, lodgings, restaurants and main attractions in Keda. Free Trilingual travel guidebooks, map of Ajara and tourist routes are also available at this centre. Shuakhevi Tourist Information Centre is located 60km far from Batumi. Here you can obtain complete information about tours in mountains of Ajara, lodgings, restaurants and main attractions in Shuakhevi. Free travel guidebooks, map of Ajara and tourist routes are also available at this centre. In mountainous Ajara, in Khulo municipality (90km far from Batumi) there is another Tourist Information Centre where you can obtain complete information about tours in mountains of Ajara and plan adventurous tours. Our friendly employees are ready to give you an advice about lodgings, restaurants, main attractions and various tourist activities.